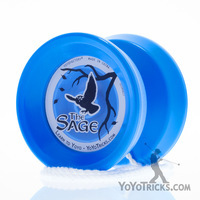 The Sage Yoyo was designed specifically for players learning how to yoyo on YoYoTricks.com. Built to our specifications by YoYoFactory, we wanted The Sage to be the yoyo for someone who is looking for that one yoyo that can introduce them to all the different yoyo play styles. For someone who is new to yoyoing, The Sage plays easy and responsive out of the box. It is well suited to all kinds of basic string tricks as well as certain looping tricks that involve the Flip motion, like Shoot the Moon and Stalls. To keep The Sage playing like new we recommend getting some Thick Yoyo Lube which helps protect the bearing and keeps it playing responsive. This lube is included in The Sage Yoyo Starter Pack, recommended for anyone who is new to yoyoing, but is serious about starting to learn tricks. 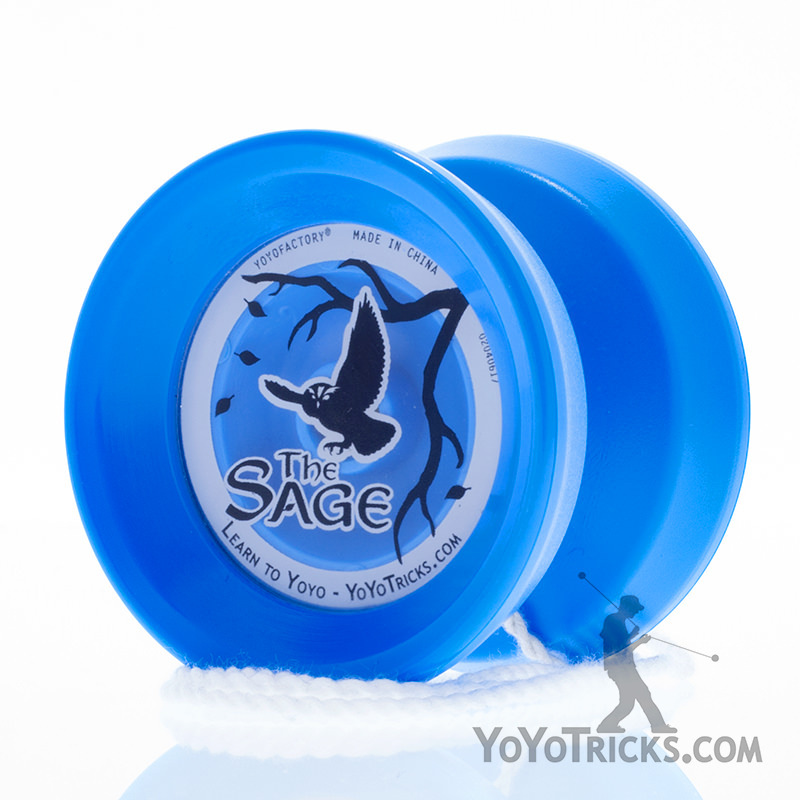 For more advanced Unresponsive String Tricks, The Sage can be easily upgraded with the addition of a Center Trac bearing (sold separately, or as a part of The Sage Yoyo Starter Pack). Swapping out the included thin bearing for the Center Trac bearing will more than double sleep times and opens up a whole new world of tricks for more advanced players. April 14, 2018, 1:09 p.m.